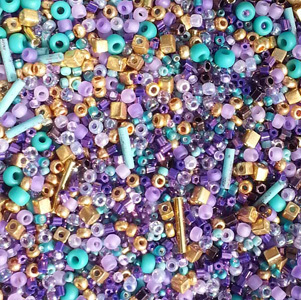 Hot Mess Mix 1 King Cake is a mix of all any size, shape and styles of seedbeads in this color mix. All tube weights are approximately 8.1-8.5 grams in a 3 inch tube. These are some Crazy and Cool color mixes. Once a mix is out of stock it won't be remade.